Did Ancient Rome use lead styli? The original form of "lead pencil" was the leaden stylus used by the ancient Romans, who also used it to write on wood or papyrus by leaving dark streaks where the soft metal rubbed off onto the surface. The concept has been revived in recent times as the core of the "inkless pen": a lead-based metal alloy that leaves dark markings on paper by abrading small pieces of core onto the surface. I cannot find any good google results, and this Wikipedia article contains zero citations. I also question the physically possibility; Lead is soft, but the idea that you could write with it seems absurd. If so, is this why they thought graphite was lead, as graphite is also good for writing with? This question is a bit tricky. Mundane every day facts like descriptions of writing tools tend to be poorly documented because most people find them uninteresting. 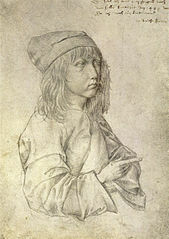 Metalpoint is a drawing and writing medium that dates from antiquity and was particularly popular from the 14th century to the beginning of the 16th . The technique of metalpoint involves dragging a stylus of metal across a substrate prepared with a slightly abrasive surface coating, or ground. As the metal is drawn along the surface, tiny particles of metal are left behind, creating a mark. Metalpoint is a very difficult and laborious method of drawing; it is very improbable that people would use it as an every-day writing method. The reason why the styluses were made of lead was because the ancient Romans used lead everywhere - it was cheap, plentiful and easy to use. Although the word "pencil" has Latin origins, it actually means "little tail" and referred to a small brush, so nothing to do with a wood-cased leaden-core implement. That definition came after the discovery of graphite. When graphite was discovered around the 1560's, it was called "lead" (among other things) due to its appearance, and not necessarily because it was good at writing, which developed in the decades since. So this in and of itself is not proof that lead was used for writing in the same manner as graphite pencils today. The ancient Egyptians, and the Greeks and Romans, too, used a small lead disc for ruling guide line on the papyrus to keep the lettering even. The Romans called it a plumbum - Latin for lead. So from here it's not a terribly big leap in logic to assume that stylus-shaped lead was also used for writing occasionally. 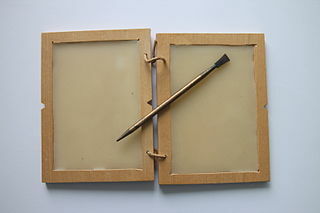 The stylus shown below is made for writing, from a sort of lead (which I have heard the English call antimony), shaved to a point and inserted into a wooden handle. I haven't found the primary source, but assuming that's an accurate excerpt, it should suggest that wood-cased lead pencils existed at least in the 16th century. Don't be distracted by the coincidentally similar date to the discovery of graphite - it took quite a while for the usefulness of graphite at writing, let alone in wood-cased form, to become widespread. In fact, encasing graphite in wood came much much later, during the 18th-19th centuries. Early graphite pencils were wrapped in various materials like paper, twigs or string. So was lead used to write in ancient Rome? Most likely. Did they use lead pencils? It's uncertain, but not unreasonable. Not the answer you're looking for? Browse other questions tagged ancient-rome technology writing or ask your own question. Was the use of imperial nicknames in ancient Rome meant as an insult? Why Ancient Rome Had No Economists? What ships did pirates use in ancient Greece and Rome? Did they have a word for psychopath in ancient Rome? Did ancient Rome have slave hunters?